Indian Institute of Management Rohtak is popularly known as IIM Rohtak. It was established in 2009. It is located in Rohtak, Haryana. Admission to PGPM course is based on CAT score, Written Ability Test, and Personal Interview. Admission to EPM and EFPM is based on CAT, GMAT, GRE, GATE or JRF (CSIR/UGC) score, academic performance, work experience, and letter of recommendation. Candidates are shortlisted on the basis of CAT score, WAT, and PI. Visit the official website of IIM Rohtak and download the form. Fill the form completely and sign it. 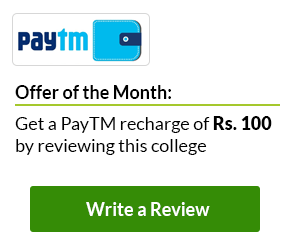 Application fee payment can be done through DD in favour of “Indian Institute of Management Rohtak” payable at Rohtak. The library of this institute has a good collection of business and management books. It also has a good collection of online journals, magazines, and newspaper. The computer lab of this institute is equipped with the Corei5 Second generation Processor based Desktop Computers. All the computers in the lab are connected with the Institute’s Domain Server. This institute has a well-equipped auditorium. It is equipped with the latest audio-visual technology. This institute provides good medical facility to both students and staff. Hostels are available inside the campus and are equipped with all the facilities. IIM Rohtak has been awarded as 'Top Institute of India' by Competetition Success Review(CSR) in the year 2015. IIM Rohtak has been awarded by DNA (Daily News and Analysis for innovations in teaching methodology in 2014. Fellowships for FPM students and fee waivers are provided for students who excel in their academics. Also, bank loans are provided for comparitively low interest and in a hassle free manner.